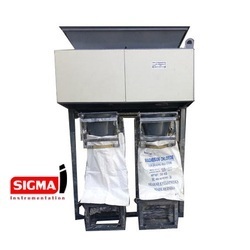 We offer for all type bag filling systems for 1 kg to 1500 kg as per require model. Our big bag packing machine or bag filling system are also know as jumbo bagging system and big bag filling machines. 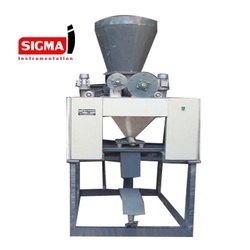 Supported with advanced infrastructure, we have been able to provide an exemplary range of Dal Packaging Machine. It is fabricated by our experts making use of fine-grade raw material sourced from some of the leading vendors. Therefore, offered product is suitable for wide industrial applications and qualitative as per the international standards. We are providing this product at high affordable price range with assurance of timely delivery. 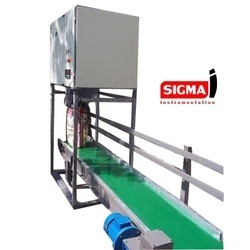 We are manufacturing of Green Maize Silaj and other Green Silaj Bag weighing, vacuum packing, stitching and conveying system as per client require. 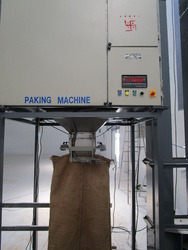 Owing to our years of industry experience, we are offering a wide range of Bag Filling Machine. Offered machine is widely appreciated by our clients for its high performance and less maintenance cost. This machine is well manufactured using the best grade components and modern technology in synchronization with the set industry standards. Furthermore, to avoid any flaws, our quality experts test this machine against several quality parameters. We offer technically advanced Cement Packing Machines engineered to pack free flowing materials in large capacity bags like 20 kg to 50 kg. 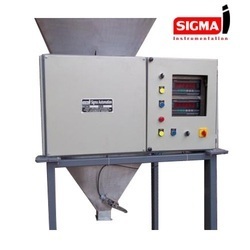 These cement packing machines are designed for accurate filling and perfect sealing. Our packing machines are easy to operate and require minimum maintenance. 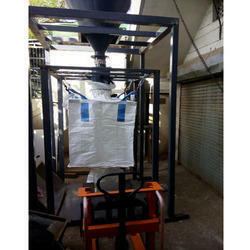 This machine perfect packaging of dry mortar material packing machinery one labour 60 bag/ hour. 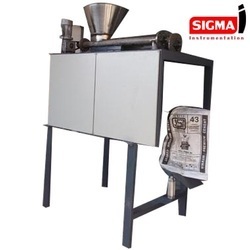 The Sigma Big Bag Packaging units features a robustly 4-way constructed support frame, a minimum of moving parts and is suitable for different bag sizes. The stainless steel, double-walled filling head has a fixed position with aspiration connection and bag clamping ring. 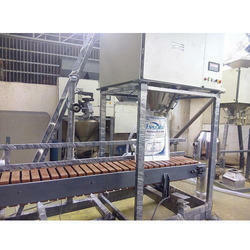 It enables an efficient filling and de-aeration. The unit has an integrated plat formed weighing system with 4 electronic weigh load cells. The bag support frame with specially designed fixed bag loop retainers offers an easy drive-off for filled big-bags. 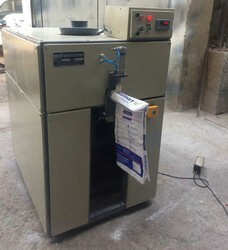 We are counted amongst the illustrious manufacturers, suppliers and exporters of a broad range of Chemical Packaging Machine. It is robustly constructed by our professionals making use of superior-grade raw material. We conducted different quality tests in order to ensure its adherence with the industry laid norms.